Affectionately known as the exmouth, you’ll find us at the heart of the bustling Bath Road, Cheltenham. Whether you’re after a good glass of wine, a fine pint of Arkell’s ale or some great fresh pub food, you’ll find it here, plus lots more besides. Oh, and smiles are guaranteed. 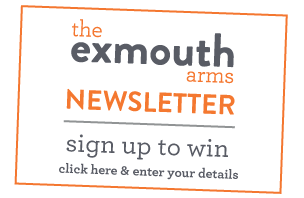 What's on at the exmouth?